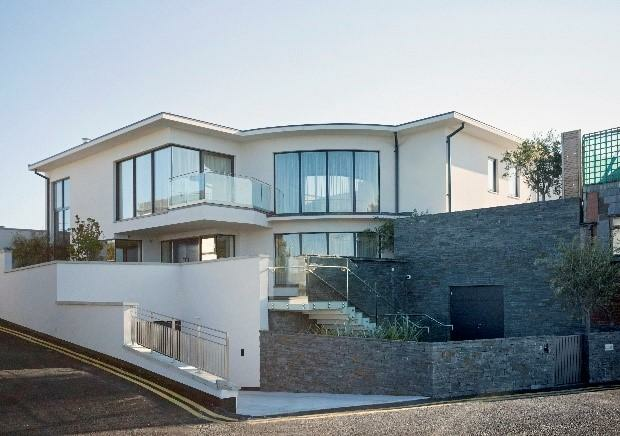 A high-profile project in a prestigious and sought-after area, this involved the considered construction of a new 3 storey private development on the picturesque Skerries harbour front. 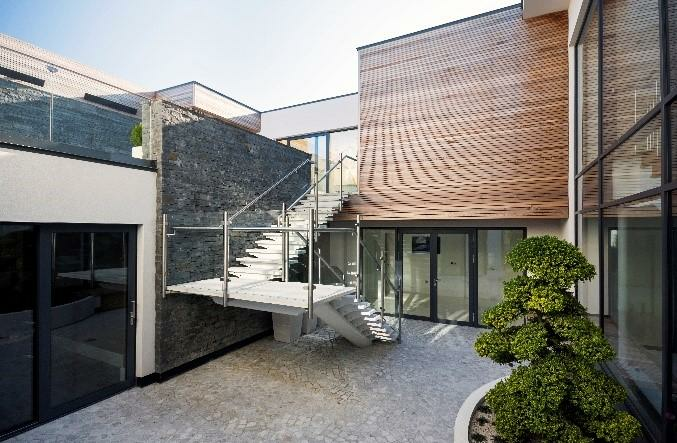 The new and highly innovative, bespoke building which was completed in December 2015 contains 2 Ground Floor Retail Units to Harbour Road, with a single residential unit located on the ground floor basement to the rear, 1st and recessed 2nd floors, including underground vehicular access to residential parking at the rear. 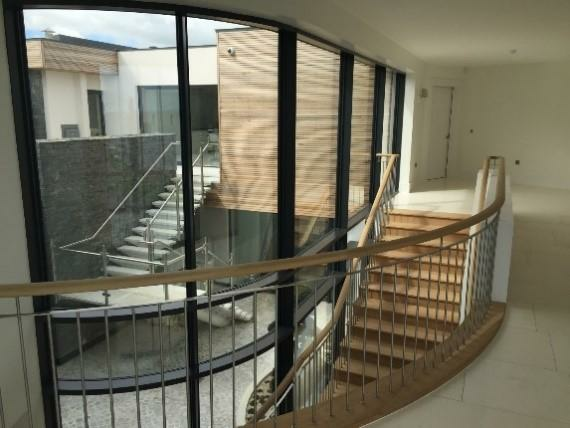 Works included construction of 4 Bedrooms inclusive of walk-in-wardrobes each complete with ensuite bathroom. 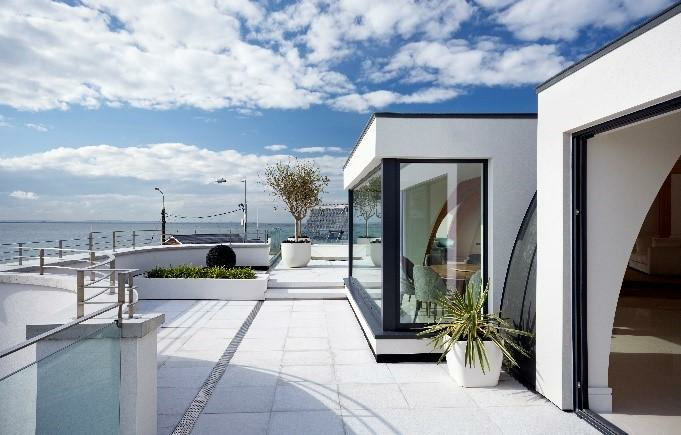 Other unique features include a cinema room and a gym and an indoor BBQ area with outdoor terrace areas overlooking the sea front, including courtyards with outdoor fires and water features on both levels. 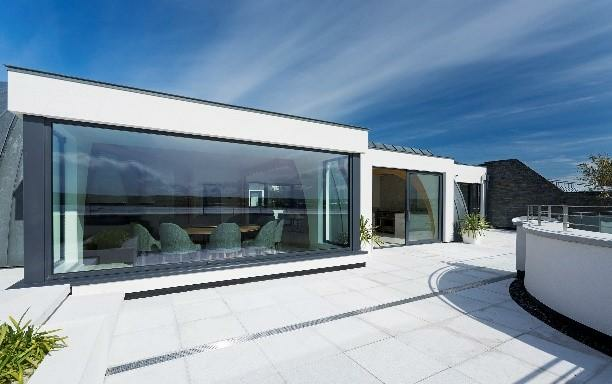 Co-ordination meetings held consistently throughout the project led by Felix O’Hare & Co Ltd, in the presence of the client, the Architect, Structural Engineer and our specialist sub-contractors and in the latter stages, the Landscape Architect and the Interior Designer. Early procurement and engaging with our reliable supply chain to ensure completion of necessary building elements on time and budget. 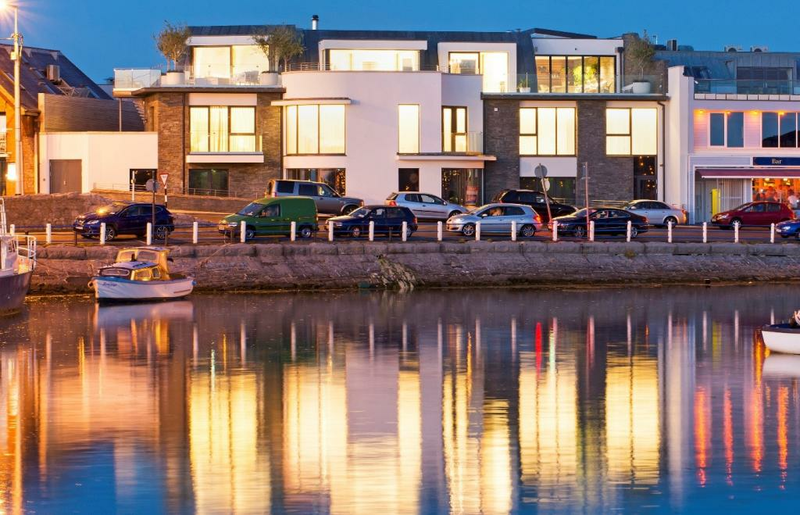 Restricted site adjacent to local residents and situated between a bar and restaurant on a very busy sea side. 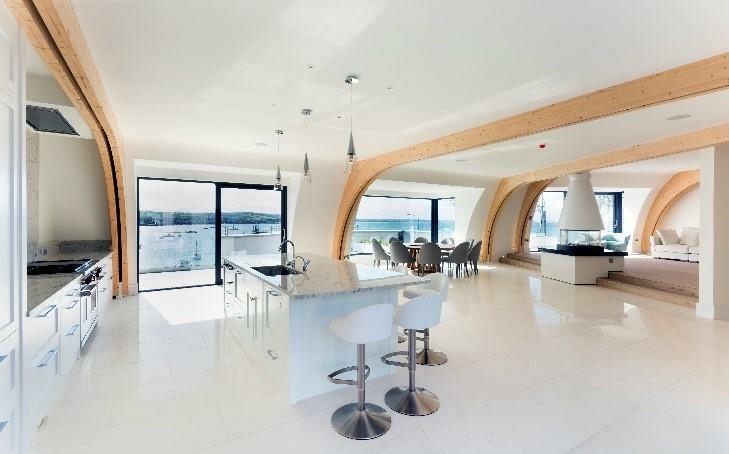 Smart technological Mechanical and Electrical Installations complete with AV Equipment, CCTV, AC Installations and lighting all controlled by Control 4.